Uncategorized | Public Safety Ministries Inc.
Confession – Forgiveness – Gratitude. These are three big ones in my faith life. I’m always careful when I start talking about religious theology, because “A man’s got to know his limitations”. But I’m pretty safe here in saying these three words are critical elements of Lutheran theology. I’d go into more on that if the details were as accessible in my mind as the above movie quote. But they’re not, so I’ll stick with the focus of this message. I was a man filled with gratitude on Easter morning at church. For those of you who don’t know, my official call to pastoral ministry is to Mount Calvary Lutheran in Excelsior. From there I am considered a missional pastor, deployed to serve as Pastor with Public Safety Ministries. Mount Calvary is also my home church and the faith community where my family and I worship. So like most who attend Easter services, it’s hard not to feel gratitude in such an uplifting setting. But… I was overflowing with gratitude, even before the service started, because of an incident in the entryway of our church as I waited to enter the sanctuary. One of our senior Greeters experienced some medical difficulties that caused him to collapse. The wonderful response to this event, that lead to a wonderful conclusion, came from a variety of resources that worked together, doing their jobs in cooperation, with strength, compassion and humility. A church staff member saw the event occurring and caught the man before he fell and guided him to the ground. Someone quickly called 911 to initiate emergency service response, congregants present assisted within their variety of abilities. The staff, doctors, nurses, parents, kids, all worked cooperatively and calmly, doing what they could to help. All this was done while respecting the greeters privacy, and many appropriately staying out of the way, but still available if needed. 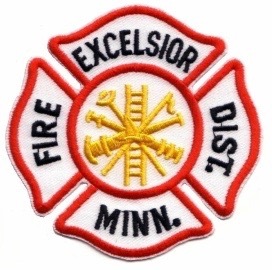 Within minutes, South Lake Mtka Police and Excelsior Fire/Rescue showed up and did their job, with Hennepin Medical Center EMS Ambulance also responding to do their job. The Church did their job, the congregants did their job, Emergency Responders did their job… all in a calm and professional manner. I was impressed! I was thankful. Gratitude. I have been blessed with the opportunity to have a personal and professional relationship with the responding community and agencies that simply did their jobs without fanfare, then moved on to what was next. So here is the intended version. I hope you enjoy the day and either version or both! 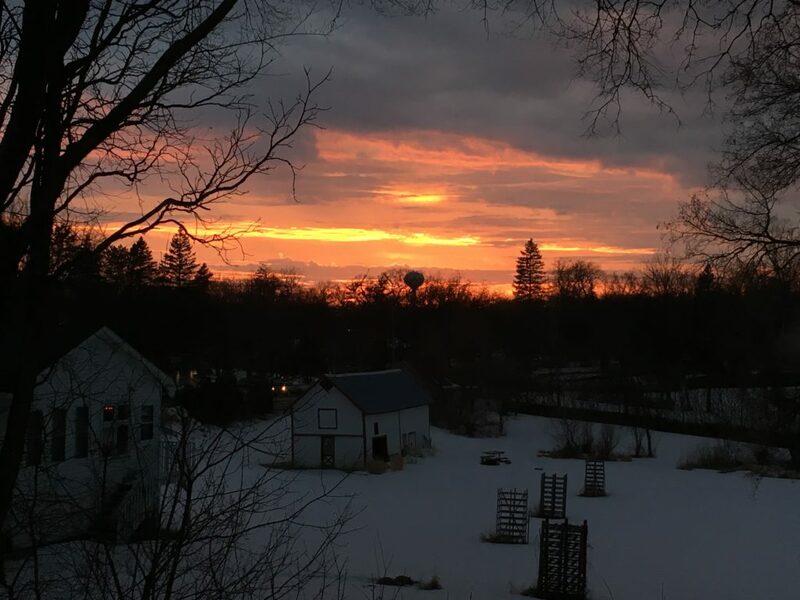 … Although it’s still morning, I want to close with a picture of a sunset I took a couple days ago out my dining room window, the place where I do much of my writing. God is Good, Life is Good, take time to pause and appreciate the Goodness!